A consultant who cared for Hull and East Yorkshire’s sick and premature babies for a quarter of a century has retired. Dr Peter Pairaudeau, a consultant neonatologist, has just retired from Hull Women and Children’s Hospital after dedicating his career to helping seriously ill new-borns, babies and children. Joining what was to become Hull University Teaching Hospitals NHS Trust in 1992, Dr Pairaudeau continued to develop the city’s neonatal service, carrying on the work of Dr Mike Lewins with whom he worked at Hedon Road Maternity Hospital. Consultant Dr Chris Wood, the trust’s paediatric clinical director, said: “He is an extremely caring man and a very skilled and thoughtful clinician who was able to give great care and support to babies in the neonatal service and to his paediatric patients. Closely involved in the planning and design of the new neonatal unit at Hull Women and Children’s Hospital which opened in 2003, Dr Pairaudeau helped to ensure the unit’s proximity to the labour delivery ward to provide new-born babies with immediate access to life-saving treatment. He worked with colleagues to provide the most up-to-date and modern clinical environment, equipment and techniques to care for sick babies. He supported consultant neonatologists Katherine Green and Joanna Preece, clinical lead, in the introduction to Hull of therapeutic hypothermia or “cooling” around 2009, where the temperatures of babies born after perinatal asphyxia are reduced. Studies have shown the treatment can significantly reduce a baby’s chance of severe brain injury if treatment begins very soon after birth. Dr Pairaudeau also supported consultant Hilary Klonin in the introduction of nitric oxide therapy and high frequency ventilation, used to treat premature babies with respiratory failure, shortly after maternity services moved from Hedon Road. 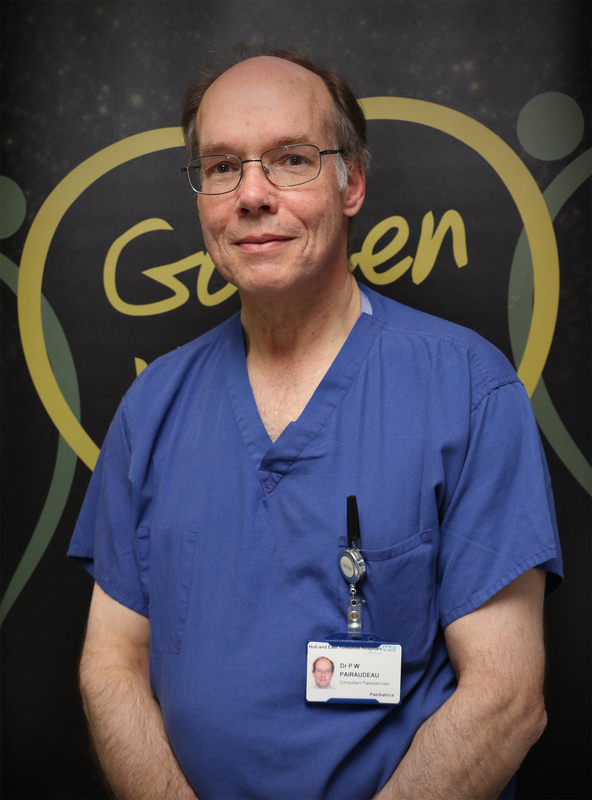 In 2016, Dr Pairaudeau was shortlisted for the outstanding clinical individual award in the trust’s Golden Hearts celebrations. Nominated by his team, the citation read: “Peter has always shown himself to be an extremely dedicated and caring individual not only to his patients, who always come first, but to his colleagues as well. “Peter is one of the most well-read and educated clinicians in the health group, if not the trust, always on the lookout for the latest development, the next guideline, the next study – all with the aim of improving the care provided at HEY. On Dr Pairaudeau’s final afternoon, staff on the neonatal unit threw him a party, decorating the room with pink and blue balloons, streamers and butterflies to remember all the babies he had helped to treat. Dr Wood said that Dr Pairaudeau will retain some contact with the service, holding regular outpatient clinics to support the handover of a service for the treatment of haemangiomas, or ‘strawberry’ birth marks, which he had introduced as another innovation to implement new treatments for this condition. “His experience, knowledge and advice over the years have been invaluable to us and his retirement is a big loss to the neonatal unit,” he said.